Living with a debt over your head can be very trying. When it comes to owing someone or an institution money, this is further complicated by either of two reasons: You don’t believe you actually owe them money. Or the debt is real but you are unable to pay them the amount. In either of this cases, you will need a letter template specifically addressing the issue. 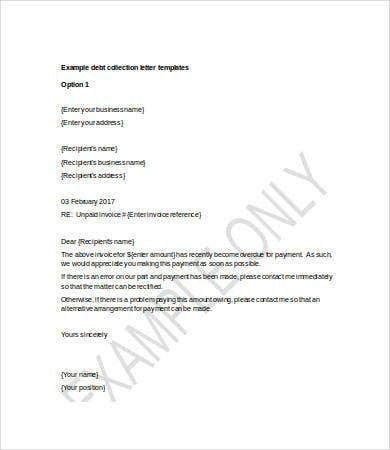 Here we have a collection of debt letters for situations when you are unable or unwilling to pay the amount. There is everything from debt validation to debt agreement and debt disputes. 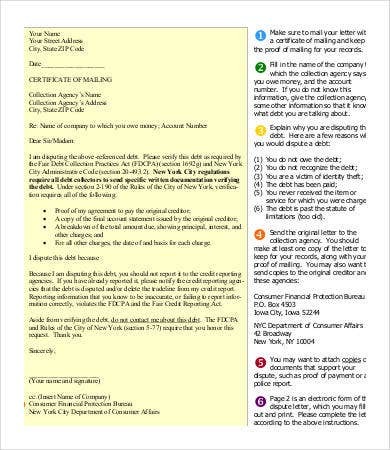 If you have an issue with your debt collector, these free templates will show you how to broach the subject wisely and professionally. What Are the Kinds of Debt Letters? A debt letter is a Legal Letter, which means it deals with a legal-financial issue. These will most definitely be recorded in the respective offices, so you want to come across as reasonable, trustworthy, honest, and sane. These are the kinds of letters you may have to draft in response to an Overdue Invoice Letter you have received that is causing you trouble. 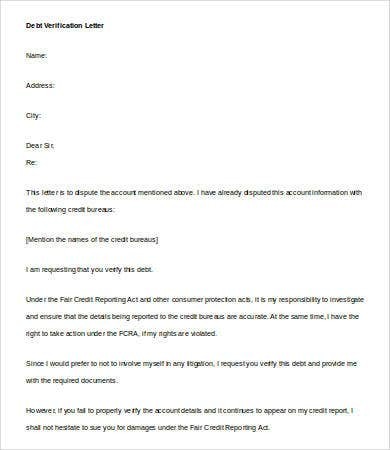 These kinds of letters request verification of the legitimacy of the debt. You address this to the debt collector and ask whether they are certain the debt is under your name or whether this is the correct amount you owe. This is an important step that many people might shirk from, either because they’re scared to raise a ruckus or they’re clueless on how to query the debt. Don’t be bullied out of your money. 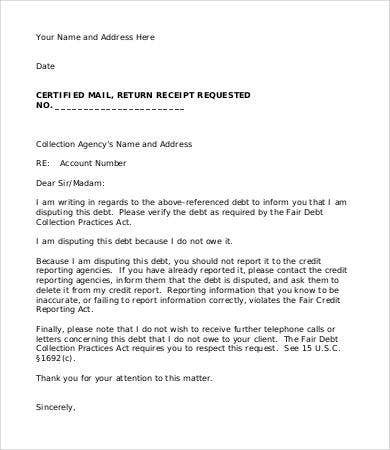 Use the Debt Verification Letter Template below to ask the debt collector for proof of your indenture. 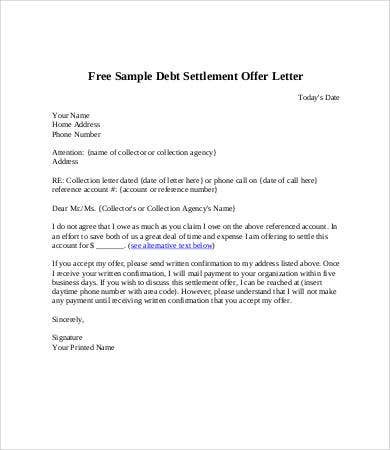 Also see Debt Settlement Offer Letter Template above or any of the dispute and validation letters on the list. 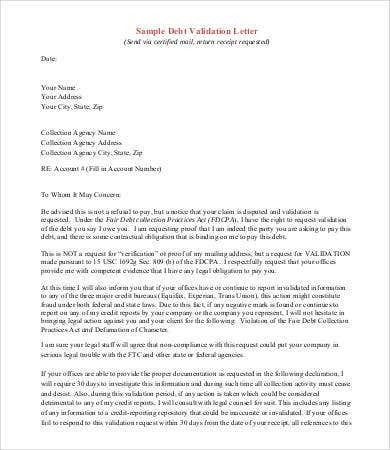 This letter agrees to the debt collector’s demand. 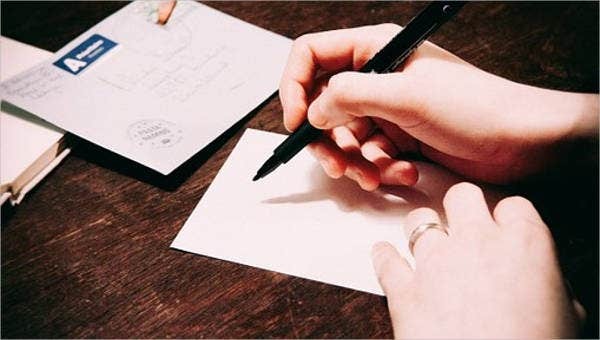 In this letter, you confirm the amount and the legitimacy of the debt, but you also express regret at not being able to pay the full amount due at the current time due to some prohibiting factor. You would then have to present a solution from your end on how you intend to fulfill the obligation. 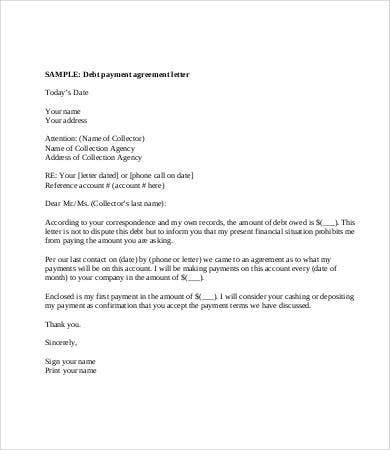 See Debt Agreement Payment Letter Template below for a good example. It provides the solution of making payments in installments. This one is specifically for the debt collector. This letter allows you to follow up on an overdue bill with your client in a professional way. Note that you must include a formal invitation to dispute the debt legitimacy or amount in a courteous manner, so that no further complications can arise. 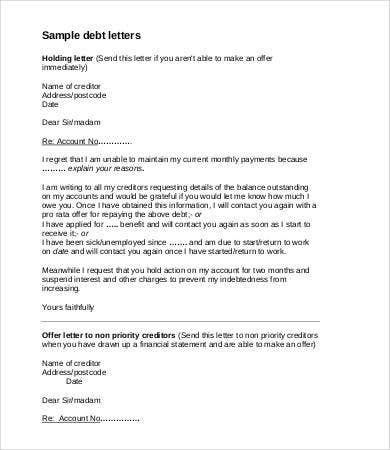 See Debt Collection Letter Template above. As templates, you can use them to draft your own letters depending on your situation, whether you require a Demand Letter or a verification letter. They are available to download as PDF files and editable Word documents for your convenience.